We had around 55 people for the latest in our series of Family Services on ‘Celebrations’ in the Bible. This month included Victor chairing, a quiz from Alan and David Hedges speaking briefly on the story of the Lost Son. 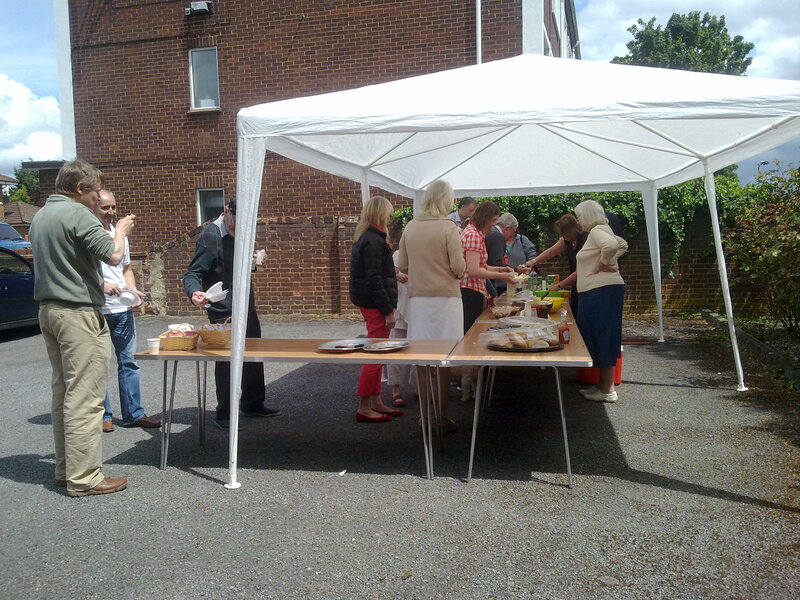 Afterwards, everyone trooped out into the sunshine to enjoy freshly cooked burgers and sausages, followed by a range of desserts. Following this, there were games in the park, including the ubiquitous Kubb!